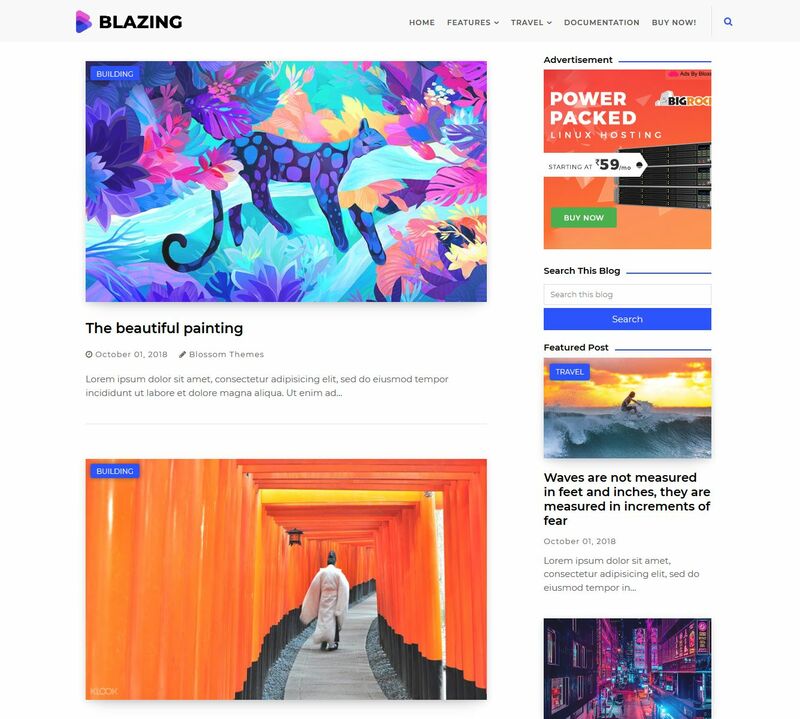 Blazing is a stunning modern looking mobile ready responsive theme which provides unique and minimal blog with main focus is to showcase your content more beautiful than ever & bring a pleasant reading experience to your readers. It has a notable Featured Boxes so that you can showcase your featured post or products. This is a fully 100% responsive free blogger template design which will enable your audience to check out latest updates from you on their Laptops, Tablets, Smartphones, etc. The colors can be changed from the Bloggers advanced Customization Area so you don’t have to go into the coding to make changes. Use options to get up and running in minutes and start customizing your new site with just a few clicks of the mouse. The theme is packed with the infinite mega menu and perfectly optimized for the loading animations. The theme has the blogger v3 latest comment widget which is more optimized and embedded. Build up your site with featured posts and user profile widgets that you can set to fit your site. Journal comes up with the perfectly crafted pagination script which performs perfectly over all the pages and let's user navigate easily from one page to another. This theme is mobile responsive, meaning your website will be perfectly optimized for every browser, device, and screen size. Get your site up and running with Blazing. Get the best technical support, credit link removal permissions and Blossom ads free layout. Copyright © 2017 Blossom Themes Corp.